Giant Blooms with Rounded Form! 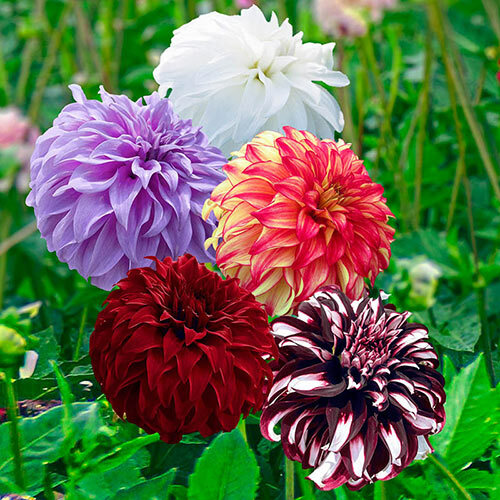 This amazing assortment will produce wave after wave of dazzling dahlias! The towering, splashy varieties that comprise our Beach Ball Dahlia Collection are certain to attract attention wherever they're planted. To keep them from upstaging nearby flowers, grow them at the back of a bed or border planting or against a fence. Or, for a bold and brilliant display, plant them randomly en masse. They start opening their enormous 8-10" blooms in summer and continue through the first frosts of fall. Have a Ball with Big Blooms till Late Fall! 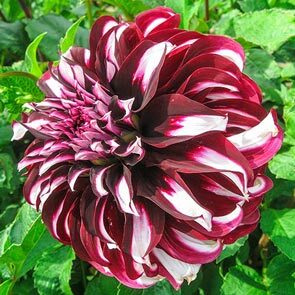 Our Beach Ball Dahlia Collection includes five colourful varieties, each capable of producing magnificent 8-10" flowers. Their petals bend back toward the stem, giving the blooms an unusual, spherical shape that makes them even more eye-catching. These spectacular blooms will "round out" your garden like nothing else! Tall and sturdy, these plants will thrive and bloom profusely beginning in summer and continuing well into fall. 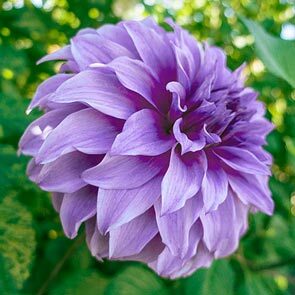 When frost lingers on the ground, it will be time to lift your dahlia clumps for winter storage. 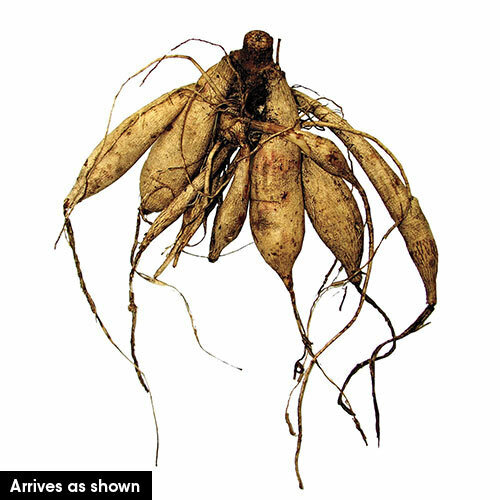 Then, in the spring, divide the multiplying tubers for additional plantings, or share them with your envious friends and neighbours! Bring these colourful, colossal blooms into your home! Dahlias are among the longest lasting cut flowers. Float a huge, perfectly formed dahlia in a shallow bowl of water to easily create a dramatic centrepiece. Or design a breathtaking arrangement of dahlias in a big bouquet or large vase. They look great all by themselves or mixed with other flowers, berries and fruits. Don't forget: The more you cut them, the more blooms they produce. Our dahlias are grown in Holland, in the heart of the world-famous bulb district. Our staff of experts spends the entire year working with the leading Dutch growers, from selecting the finest, garden-tested varieties through every phase of production. At harvest time, we individually inspect each dahlia clump, and we ship you only the cream of the crop. Dahlias are the queens of the late-summer garden, producing showy blooms in a wide variety of colours, forms and sizes. This is great news for gardeners who are always looking for something different to add to their collection. Our Beach Ball Dahlia Collection offers exciting globe-shaped flowers that will "round out" your garden like never before! Like most dahlias, these varieties will thrive in well-drained soil and sun or partial shade. And their bushy habit makes them perfect for filling in gaps or creating a full-coverage privacy hedge. Vassio Meggos: Sweet, lavender-pink variety is a vigorous sport of the lush, dark red Spartacus. Expect plenty of fully double, round blooms that can reach 10" across. It's not unusual for this show-winning garden beauty to produce up to 25 giant flowers per plant. Makes a knockout addition to floral centrepieces—or as a sole bloom in a simple vase. Plants grow 4-4½' tall. Spartacus: This red is sure to win blue ribbons at the fair. Crimson, orb-shaped flowers are slightly darker in the centres and look like velvet. 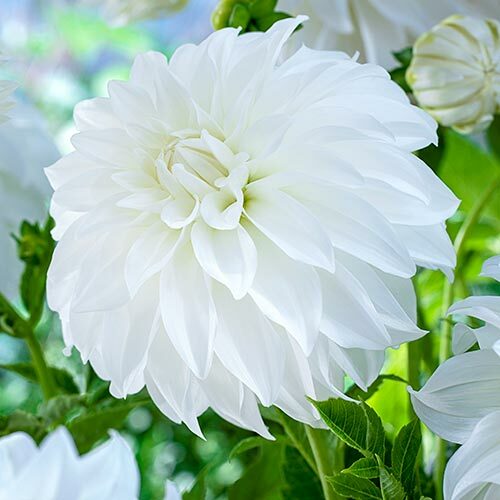 Sturdy stems support plentiful, enormous blooms that can reach 10"¬across. 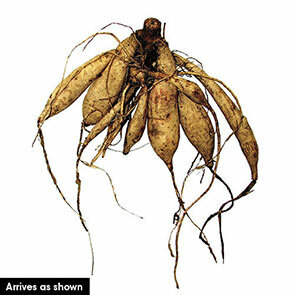 Grows strong in the garden or border and lasts long in a vase or bouquet. Wide petals curl moderately at the tips. Plants grow 4-5' tall. Lady Liberty: Pristine white that's worth the wait! This elegant late bloomer will catch the eye amid nature's warmer autumn hues. Globe-shaped flowers reach 8-10" across and sit atop lush, green foliage and strong stems. 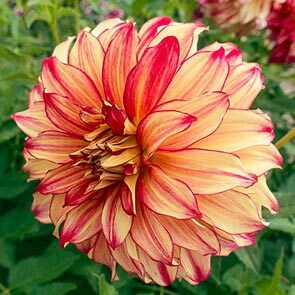 This decorative dahlia has gently reflexed petals. Its remarkable form makes it a perfect fit within the symmetrical environment of a formal garden. Plants grow 44-48" tall. Tartan: Without a doubt, our favourite dahlia! Rich burgundy petals are striped with thick bands of snowy white. 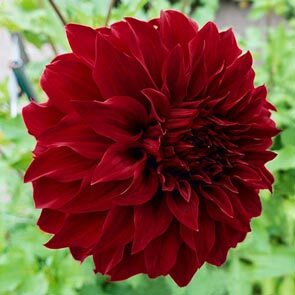 Spherical, fully double blooms can reach 8" across. Sharply contrasting colours and big blooms make it a natural focal point in the garden. When grown in back of a border, Tartan draws the eye over the entire space and beautifully enhances nearby plantings. Plants grow 36-48" tall. Lady Darlene: Showy, spherical flowers feature recurved petals in multiple shades of yellow splashed with magenta-red on the tips, edges and midribs, giving them the appearance of being ablaze. Blooms can reach 8-10" across, and their shape makes them ideal for the uniformity of a formal garden. Looks truly magnificent either planted in a large container or as a cut flower. Plants grow 40-48" tall.